Visiting your midwife ensures that your baby is developing properly. During your appointments, you will be given an opportunity to ask any questions that you may have. You are encouraged to bring your partner along to these appointments. As soon as you find out you are pregnant, you should schedule the first prenatal care appointment with me. At this appointment, I will schedule a series of appointments throughout the pregnancy. If the pregnancy is normal with no known issues, the mother will see me every three weeks until 28 weeks, then every 2 weeks until 36 weeks, and weekly from weeks 36 until delivery. This helps ensure the health of the mother and baby. It should be noted that this is just a general guideline. The frequency of those appointments can change depending on your pregnancy and the wishes of you or me, as your midwife. During your first prenatal care appointment, I will determine your due date. Additionally, I will take a detailed history of your health and the health of your immediate relatives. This will help me determine if there are any potential pregnancy risks. Prenatal care should begin before you ever get pregnant. If you are planning on becoming pregnant, it is important that you make sure you are eating properly, getting enough exercise, and getting enough folic acid. I would be happy to talk to any woman considering pregnancy on proper nutrition, as well as the benefits of home birth and how I can be of assistance as a certified midwife. Prenatal care ensures you and your baby are healthy. 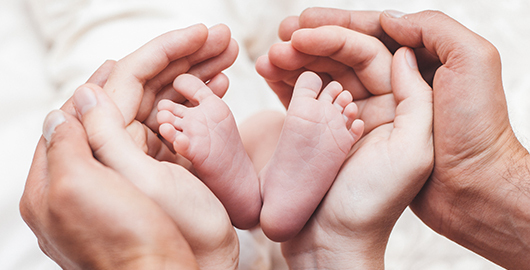 Babies whose mothers do not receive proper prenatal care are at a greater risk for negative outcomes than those who receive proper prenatal care. It is a vital part of your pregnancy and is key to ensuring you and your baby remain healthy throughout the pregnancy. Studies have shown that women who receive proper prenatal care often experience healthier pregnancies and deliveries. Prenatal care ensures that you know how to give your baby the best start in life from pregnancy through delivery. If you are considering pregnancy or are already pregnant, Contact Carmen to see if a home birth with a certified midwife is the right choice for you and your family.